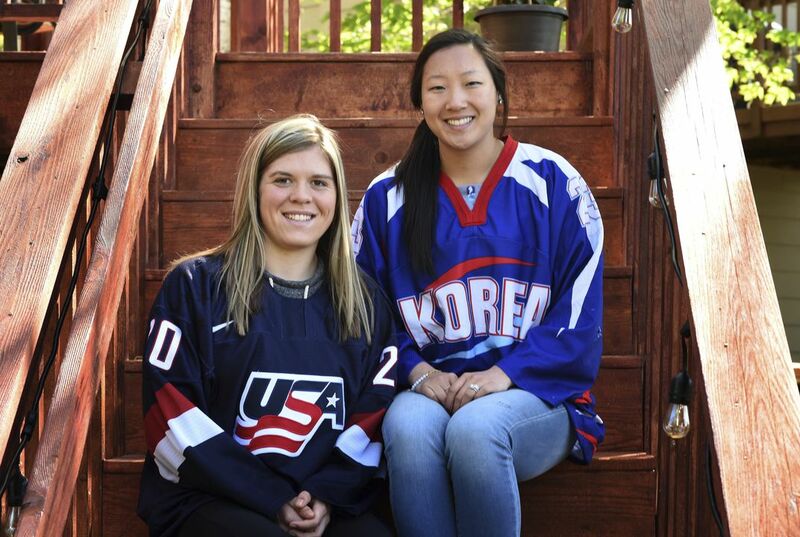 The U.S. Olympians are twins themselves, so combine that with how few sisters play hockey or reach national teams playing internationally, and it's easy enough to notice whenever sisters are dressing up for another country. The Lamoureux sisters have some sisterly company at the 2018 Pyeongchang Games. with teammate Hannah Brandt's sister, Marissa, playing for the unified Korean women's team. Switzerland has two sets of sisters on the roster with Nina, Isabel and Monika Waidacher, plus twins Laura and Sara Benz. Canada nearly had its own sister act with Sarah and Amy Potomak, though neither made the Olympic team. 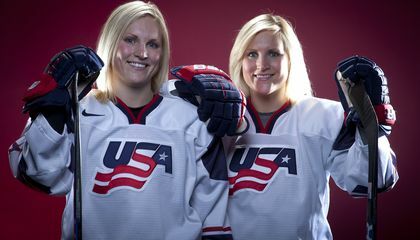 And the American sisters definitely have an Olympic edge having won silver medals in both 2010 and 2014. Jocelyne has 11 points (two goals, nine assists) in 10 Olympic games, while Monique has 13 points (seven goals, six assists) in the same span. The U.S. women's team left last Wednesday for South Korea chasing the gold medal that eluded the Americans in Sochi, where the United States blew a 2-0 lead to Canada in the final. Jocelyne can't wait for the opportunity to represent the United States once again in the Olympics with pride the emotion that bubbles up whenever she thinks of the Winter Games. It's what the sisters have been working for most of their lives with one ultimate goal.